April 17th, 2018 Posted to Blog Posts, Tax Fairness and Budget Adequacy, Tax Fairness and Budget Adequacy Blog, Tax Fairness and Budget Adequacy Featured | Comments Off on Celebrate Democracy: It’s Tax Day! If you’ve ever done much research on your family history, you’ve likely run across old census records. These yellowed documents—many hand-written with quill and ink by enumerators who went door-to-door to gather the information—were used to determine how many representatives each state had in Congress. Today’s Census is still incredibly important, but now it is much more high-tech. It involves cutting-edge technology, years of planning, extensive research, and thousands of Census workers across the country. Far from being a thing of the past, the decennial Census count that takes place every ten years determines crucial day-to-day realities for all residents in the U.S. It determines voting and school districts, political representation, and how billions in federal dollars are spent across the country—including $6.2 billion every year in New Mexico alone. But now, the Census—and everything that relies upon it—is under threat. The recent decision to include a question on citizenship status in the 2020 decennial Census is certain to increase the number of people who won’t respond to the census. And that’s exactly the political motivation behind the decision to include a question that hasn’t been asked since 1950. This change will be particularly bad for New Mexico. The Constitution mandates a full count of everyone residing in the country every ten years. Aside from allowing for fair political representation in Congress, the census also determines how much of the money that we pay in federal taxes will come back to our state to help pay for schools and colleges, highways and health care, services for veterans, transportation, and other necessities. Businesses and entrepreneurs use census data to make critical decisions about hiring, consumer needs, and where to locate factories and stores. Additionally, hundreds of millions of dollars for programs serving Americans who have fallen on hard times—programs such as Medicaid, school lunches, and SNAP (food stamps)—are allocated based on census counts. Given New Mexico’s status as one of the poorest states, any impact to the allocation of those funds would hit our state especially hard. An undercount of just 1 percent could cost the state $600 million over the next ten years. This policy is an act of erasure that will render certain populations invisible in terms of representation and public spending. One thing is clear to the hundreds of civil and human rights organizations, local governments, and elected officials who have spoken out in opposition to the question: this is a move designed to scare already hard-to-count populations away from participating in the Census. New Mexico has historically been home to a large number of these hard-to-count populations: Latinos, Native Americans, immigrants, and people living in rural areas, in areas without internet access, and in poverty. In addition, New Mexico is one of 12 states with a population of undocumented immigrants that is higher than the national average. Adding the citizenship question, which is likely to dissuade some New Mexico residents from responding, will make this problem worse because many immigrants—regardless of their legal status—simply won’t be counted. When immigrants aren’t counted, their children also aren’t counted—even though 80 percent of children with immigrant parents are, themselves, U.S. citizens. The addition of a citizenship question is particularly troublesome given recent aggressive moves by ICE to target immigrants without documentation. People are afraid to go to work, take their kids to school, go to court to pay a traffic fine, even travel to another state because they know they could encounter an ICE agent at any point. Threatening certain groups or telling them they are not part of this country does not reflect our values as a nation. While the implications of this sudden and unnecessary policy are bleak, there is much that can be done. State attorneys general—including New Mexico’s—have filed lawsuits asserting that the addition of the question is unconstitutional, and members of both houses of Congress are calling for hearings to consider legislation and hear testimony on the issue. State and local government leaders need accurate information to make decisions regarding their constituents and communities. Your state and local elected leaders can help save the census. Tell them to join you in urging their congressional delegation to overturn this effort to undermine the census. Find who your state and local elected officials are and how to contact them online. An accurate census is critical for our democracy and every New Mexican deserves to be counted and equally represented. The stakes are too high for an inaccurate 2020 Census, but we must all do our part to ensure that everybody in New Mexico counts. 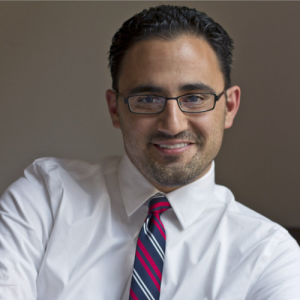 Jacob Vigil, MSW, is a research and policy analyst for New Mexico Voices for Children. A blog by Capitol Report New Mexico outlined the few dozen tax cuts the governor has claimed to have made during her tenure. I wanted to dig deeper into these tax cuts to see how much they cost and if they benefited the state. After several hours of poring through fiscal impact reports and legislation, several hundred milligrams of caffeine, and about five Excel spreadsheets later, I now present to you the 37 (29 is probably more accurate) tax cuts provided by the Martinez administration. This bill allowed business owners in New Mexico to receive a $1,000 tax credit for each veteran they hire. This credit brings up an interesting problem. By creating a tax preference for hiring veterans, it places non-veteran job applicants at a disadvantage. Additionally, there is no consensus on whether veterans have significantly different unemployment rates than other groups of men, for example, in those age ranges. To illustrate, the unemployment rate for Gulf War-era veterans is 4.8 percent which is only slightly higher than the nationwide average for men aged 35 to 44. [i] For additional comparison, the state’s unemployment rate is 6.7 percent. This law provided a tax exemption for the electricity that is used during the production and transmission of electricity. Simply put, it’s a tax break for getting power from point A (like a power grid) to point B (like homes or businesses). The purpose of the exemption was to encourage the building of power lines and to provide an incentive for an electricity exchange to be located in New Mexico. (Although no fiscal impact report was done for this bill, it’s estimated[ii] that for an energy company with sales of $500 million, the state would lose $29 million per year.) Despite the cost, this puts us in line with other state’s tax structures.